The earthquake of 14th April 2010 destroyed most buildings in Yushu. The Beneficial for All Medical Centre was so badly damaged that it could not be repaired. 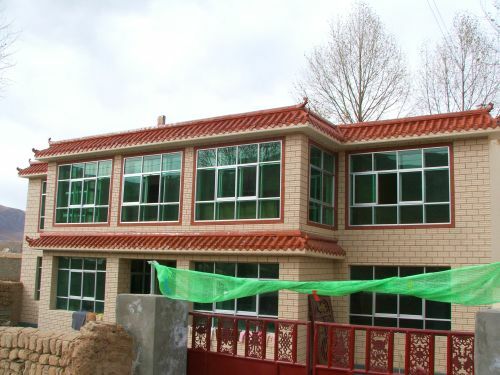 As a consequence of this Medicine for Tibet is building a new Beneficial for All Clinic at the Chodrak Nunnery 2 hours from the city of Yushu in the countryside. Construction is to begin in the spring of 2011 when the weather is suitable for building. EDIT (GOOD NEWS): Recent reports have told us that the Medicine Center was damaged, but was one of the few buildings that remained standing, by God's Infinite Mercy. 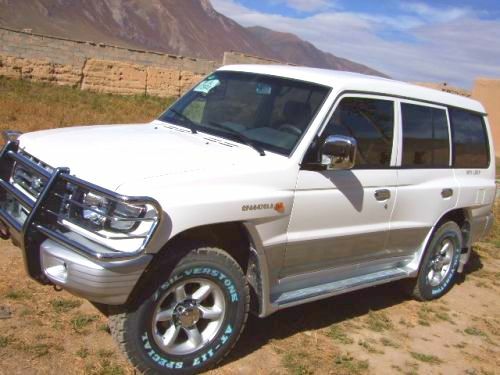 The vehicle also is working, and has been instrumental in helping the people of Yushu. This largely invalidates most of the message below, but we keep it here as a record. Your support has made so much possible. Over the last few years the funds donated by generous people and raised by MFT have been used to purchase the medicines needed for running the centre and in training two Tibetan women to become practitioners in traditional Chinese and Tibetan medicine. 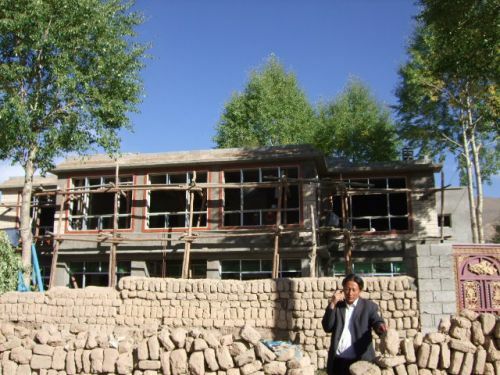 The recent earthquake on April 14, 2010 in the Quinghai State of Tibet in China, shook Yushu, the district where Medicine for Tibet's Beneficial For All Medical Centre, was built. The devastation has been massive - 85% of all structures in Yushu district were flattened. Reports have said that the Beneficial For All Medical Centre and its 4WD vehicle have been destroyed. Over 2200 people have died, with more bodies being discovered daily. More than 12,000 people have been injured. Many Tibetans are homeless without shelter in freezing conditions at 4,000 meters above sea level. They lack adequate food, water and medical care. The situation is dire. The Medical Center was completed in November 2007. It has 4 rooms and one hall, plus a bathroom and toilet. The total floor space comes to about 170 square meters. In June 2007, funds were generated for the purchase of a 4WD vehicle and construction of the Medical Center. This Four Wheel Drive will be equipped as a mobile medical unit that will deliver medical services to the more remote areas.